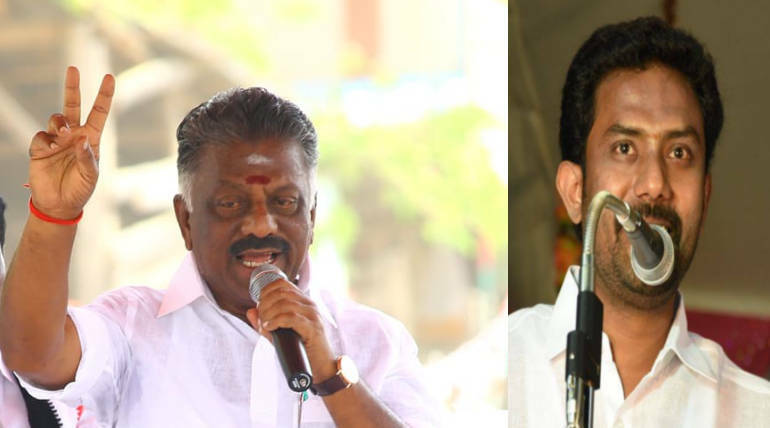 OPS, who has made win all the candidates stands in Theni constituency for the AIADMK so far, will bring the Prime Minister for his son, and the money will be pumped up in the Theni area. Theni Lok Sabha constituency has become VIP area. 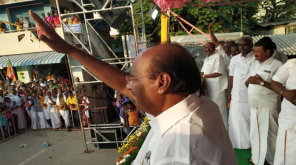 On behalf of AIADMK vice president OPS's son Ravindranath, DMK nominee Congress Party's candidate Evs Elangovan, the strongest rival of the local community as the AMDK candidate, Thanga Tamilselvan. 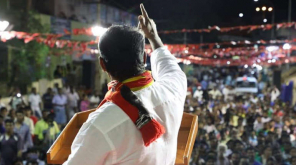 OPS regularly had the success for candidate whom Jayalalithaa identified as the AIADMK candidate in the previous elections in Theni. But this time he have his son and he has been get rid of all MP who have surrendered to him all the way to get rid of their internal frustrations. That is why OPS, who has made win all of the candidates who have shown by Jayalalithaa till now he can call the Prime Minister Narendra Modi for his son, will be campaigning on this 13th April for the first time, since no prime minister has come to the campaign for his own party for the elections in Tamilnadu. OPS used his influence at BJP top in Delhi to come to Theni. Using his overall influence, OPS will bring Modi to campaign for his son Ravindranath, who is contesting for the first in the election. 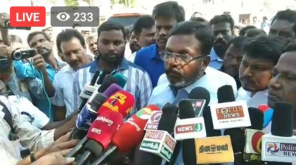 On the one hand, the BJP Sivagangai candidate H Raja and Ramanathapuram candidate Nayyaran Nagendran are in the view that they are coming for a coalition candidate without campaigning for their own party candidate. The Prime Minister, the Chief Minister and the Screen Actors did not spare the money to win the VIPs in the ADMK Party. Money is generous in circulation as it is a way to them and to the last administrator of the party, the packet is full of money and enthusiasm and it is no less than in the hot temperature. However, money for the people is likely to be paid in the last 48 hours of election. Congress can not afford to spend money like ADMK. However, EVS Elangovan uses his influence to bring Congress leader Rahul Gandhi to campaign. There is a chance for Rahul comes on the 12th April to Theni. 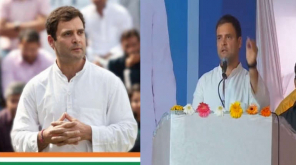 The people of Theni today are eagerly awaiting the arrival of Rahul as they witness Rajiv Gandhi walk in Theni from the Bungalow to Nehru statue. At the cost level they can not compete with AIADMK. As Rahul Gandhi is coming to Theni, the Congress activists are enthusiastic. Even if Thanga Thamilselvan has an old influence, he is said to have made a huge remake but it is hard to win. Thus, today's field situation in Theni constituency is thrilling and exciting.